This information covers the basic process of re-gearing the Toyota Land Cruiser front and rear differentials. While the information listed is generally specific to the Land Cruiser models, the links and general overview is applicable to all of the Toyota 4x4 applications that we carry ring and pinion parts for. A: Axle re-gear projects can and have absolutely been done by the do-it-yourself home mechanic however it is a fairly in depth process and will require special tools, patience and attention to detail. 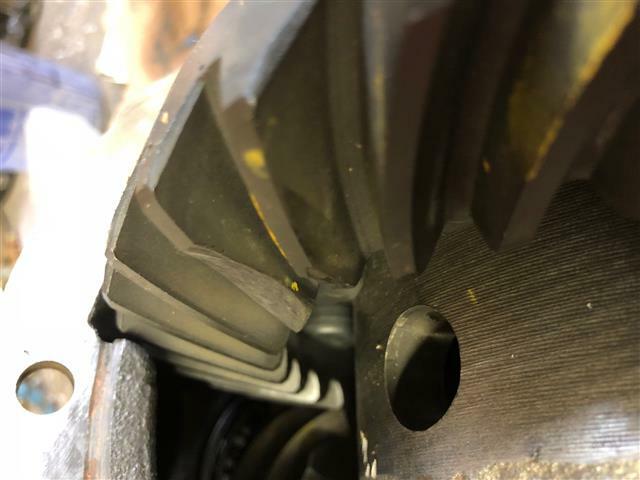 Our recommendation would be that you spend some time researching the process of ring & pinion setup online and decide if its a project you are comfortable handling. Q: What special tools are needed? A: Dial indicator, inch-pound torque wrench, hydraulic press and related parts, bearing pullers and a Factory Service Manual (FSM) for your make & model vehicle. These are not parts offered from Cruiser Outfitters and are generally available through specialty tool manufactures and retailers. Q: Are any modifications required to install gears into my existing differentials? A: The majority of our axle and locker components are going to be a direct fit where at all possible. Air Locker installations will require drilling and tapping a hole in your differential housing for the bulkhead fitting. Also, all semi-float Land Cruiser 9.5" rear axles will require slight clearancing to the pinion gear for any gear ratio 4.56 & up. The installer must do minor clearancing on the teeth of the ring gear to allow the cross-shaft to slide in and out of the carrier during the c-clip installation. Gears can not be pre-clearanced as the depth of the clearancing will vary from vehicle to vehicle. As a general rule, 4.56 gears will require ~1/8" of clearancing on a single tooth. 4.88 gears will require ~ 3/16" on one or two teeth and 5.29 gears will require just over 3/16" on 2-3 teeth to allow clearance for the cross-shaft. This is not required on any front axle, rear semi-float axles only. There are no strength concerns related to any of these modifications as all have been done thousands of times during similar installs with zero adverse effects. Q: What if I'm not comfortable doing this job myself? Q: How do I determine which ratio gears I have now? A: The most reliable way to determine your existing ratio is to count the number of teeth on your ring gear and divide that number by the number of teeth on your pinion gear. For example if you have 41 teeth on your ring gear and 10 on your pinion gear, you have 4.10 ratio gears (41/10 = 4.10). Alternatively, most gears are marked on the outside face of the ring gear, often shown in a ratio of the number of ring gear teeth to the number of pinion teeth, so "37/9" or "37/10", etc. These marks can be difficult to locate and in most cases require that you remove the differential from the axle housing or remove the differential cover when available. the last option which is the most difficult and least accurate is to lift one tire in the air and spin the pinion, carefully counting the number of rotations the pinion makes per complete revolution of the tire. If you spin the pinion gear approximately 3-3/4 times you likely have a 3.70 ratio, likewise if you spin it 5-1/4 times per revolution of the tire, you likely have 5.29 ratio gears. It is our recommendation that you go ahead and pull the differentials to verify all gear ratios if your not comfortable counting the rotations of the pinion and the tire. Q: How do I determine which ratio gears I should upgrade to? 40 Series with stock 4.11 gearing: Going to a 33" tire size: 4.56-4.88, 35" tires, 4.88-5.29, 37"+ tires, 5.29 ratio ring & pinion. 60 Series with stock 3.70 gearing: Going to a 33" tire size: 4.10-4.56, 35" tires, 4.88, 37"+ tires, 5.29 ratio ring & pinion. 62 & 80 Series with stock 4.11 gearing:Going to a 33" tire size: 4.56, 35" tires, 4.88, 37"+ tires, 5.29 ratio ring & pinion. Q: What are the parts that I will need to complete the re-gear? Q: What else do I need to consider? A: There are numerous variables not discussed in this article as every re-gear is a case by case scenario however the parts list above should get you the bulk (if not all) of the components needed during the re-gear process. Consider taking a look at your steering joints, suspension, and u-joints while you are under the vehicle. Q: What are the break-in procedures for new gear installs? *See something missing, wrong, or incomplete? Please let us know!